There ain't much coffee houses and cafes in Kalimpong where one can go for a great cup of coffee and snacks. 3C's has also been the most popular coffee and bake shop in Kalimpong since almost forever and I really wanted to try something new and nice. After visiting Kalimpong after a long while, I visited One Cup Cafe in Kalimpong for some good cup of coffee with my friends. The place was located in a good location, the main Kalimpong town just near Kanchan Cinema Hall so I climbed up the first floor of the building and entered the coffee shop. One Cup Cafe was decor'd like a typical barista coffee house like one of those informal cafes like CCD or StarBucks. Though the place was a little small, it was great to sit in the window seat, with the order counter just next, with baristas preparing coffees. I briefly scanned the menu and the menu had typical coffee house items like various types of coffee and bakes and cookies. I ordered a chilled cafe latte while my friend order a chilled machiato. For snacks I ordered brownies with ice cream and carrot cake. The staffs were really friendly and conversant. After a while we got our chilled coffee but it was bad. There was't much difference between the cafe latte and machiato. The chilled cafe late was cold but had very little flavor of coffee in it. I could only taste the diluted milk in it. The machiato is supposed to be strong with little milk but it was the same as the latte, thin, dilute and tasteless. I got my brownies in a while but it was without the ice cream and when I asked where my ice cream was, the wait staff apologized for the wrong order and got my brownies with ice cream. Well, the food was bad too. Though the brownies looks good, it was tasteless, dull and the combination of the brownies with ice cream didn't go well at all. I have had brownies with ice cream in various places and the combination actually goes well. 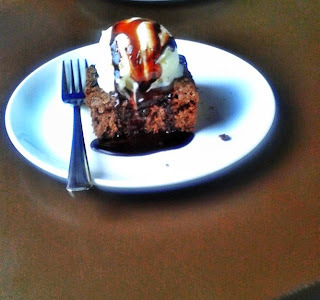 Even in places like Glenary's in Darjeeling, they have excellent brownies with ice cream but the one at One Cup Cafe in Kalimpong wasn't good at all. 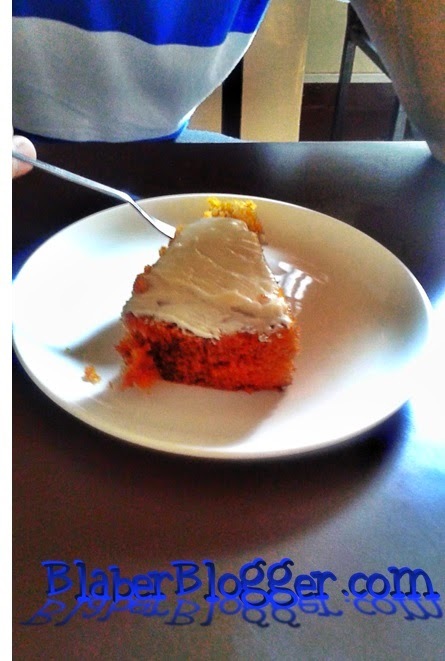 I tried the carrot cake as well but that too wasn't good. I understand that it is hard to get a perfect meal or drink at a place but getting wrong orders and all food bad isn't so well. I am not sure if the drinks and food are always like that or it is just that time when all my orders were bad. I honestly liked the place, it was cozy, nice and had a great view. The staffs were great, friendly and hospitable and Kalimpong really needed a cafe like that but in terms of food and drinks, the cafe has to work at. I would definitely love to go back to the place if there is some improvement.